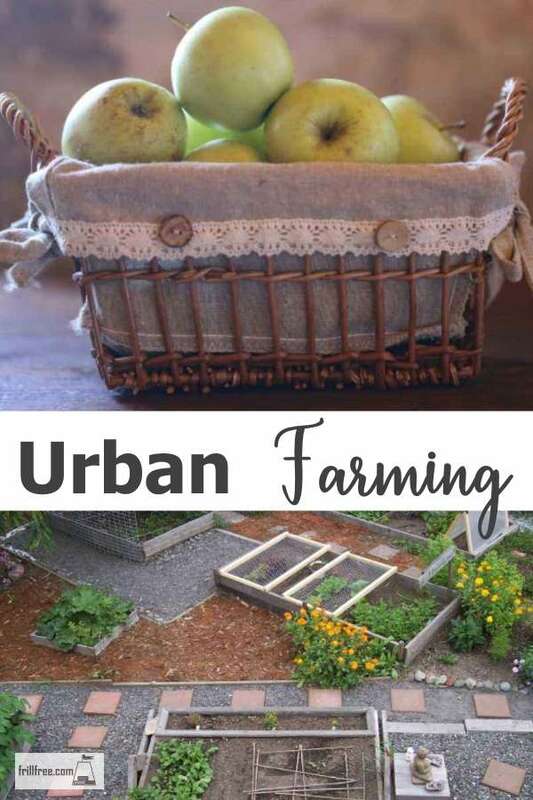 Urban farming is a groundswell movement of growing food in cities and towns; in fact, anywhere other than a countryside setting. City farming is gaining in importance as the price of fuel rockets into the stratosphere, making it uncertain in the future if we’ll be able to even buy out of season produce from Chile, or New Zealand in the winter. It’s up to us, the common people, to make the effort to provide for our own needs, and those of our neighbors. Most governments don’t realize how important it is in times like these, of climate change, economic uncertainty and worry, for citizens of their country to feel as though they have some control. Urban farming is a way we can indeed have control. Using organic farming and gardening techniques refined over years of experimentation in rural settings can provide huge amounts of fresh vegetables, herbs and fruits in small pockets of land, vacant lots, roof-tops – anywhere that has any amount of sunshine everyday, and a water source nearby. Local farmers markets are gaining in popularity too, giving urban farmers a place to get their produce to a customer. I see a movement towards neighborhood solidarity, where people live, work, grow food to trade or sell, all in a few blocks. As an added bonus, our children actually see and recognize where food comes from, other than the supermarket. Start budding gardeners off right; get gardening as soon as possible while they're receptive to learning about it. Kids love to garden, especially finding out about bugs, playing in the 'dirt' and eating real vegetables that they have produced themselves. The pride and self esteem boost is amazing. If we can all follow the 100 Mile Diet, where most if not all of our food is produced locally, it reduces our carbon footprint, and helps save the planet, all while giving us nutritious produce. In Canada, we might have to build greenhouses to grow winter food supplies, but why not use a heat exchanging technology to provide heat to it? In Whitehorse and many other very cold areas, this is exactly what’s happening. In Nelson, British Columbia sustainability in the form of geothermal heat exchange technology will be used in a municipal setting, where the city hall and other community buildings will be heated using the ambient warmth of lake water and the earth. Why not add a community greenhouse to this? Try and get permission to start your urban farm, using a vacant lot, roof top or even a parking lot such as the one donated by a hotel on Davie Street in Vancouver, British Columbia in the nations grittiest downtown east side. It doesn't have to be a huge space; even small areas can be intensively gardened, with vertical structures to plant into. Get free stuff to build raised beds, salvage lumber, recycle pots, rain barrels, tools, compost bins. Ask for donations, have a garage sale, put up notices, start a buzz. Find a source of horse manure – try police or riding stables, local petting zoo, or ask at your SPCA, veterinarians or animal shelter if they know of a source. Get a source of free composting material – good sources to try are restaurants, grocery stores. They'll be happy to have you pick up their waste on a regular basis, especially if you supply them with tubs that can be easily cleaned - and not too heavy when full. Think safety when saving water - don't allow creatures to have access to it and drown, keep a cover such as a screen on your cistern to prevent mosquitoes carrying the West Nile Virus or heartworm to have access to lay their eggs. Water can be captured from downspouts, make sure you have a clean container, cistern or the like to save it in for use on the garden. Decide what to grow – are you going to try and grow a wide selection of produce, or limit it to certain high value crops? Marketing – is this going to be a co-op with paying members, or selling to the public via farmers market, or farm gate. Restaurants will be happy to take your fresh, organic produce off your hands, especially those that focus on the 100 Mile Diet idea. Soup kitchens and food banks welcome the addition of fresh produce - find out if there are any rules that you have to follow to be able to contribute your organic produce. Some require that the vegetables be packaged in a certain sized box, or be washed before dropping them off. Elders in your community will be thrilled to give you advice, tell stories of their own gardening experiences, and gratefully receive care packages of produce. Find a master gardener or horticulturist to help with planning and help to focus your group in the right direction.